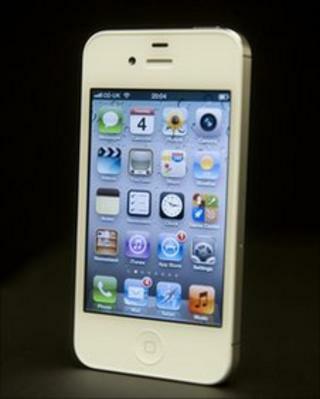 Apple's newly-released operating system, iOS 5, has been causing problems for some of those trying to download it. The free software update, which promises 200 new features, has been so popular that Apple's servers appear to have struggled to keep up with demand. Many users complained on Apple forums that the download was taking time, with some having to retry many times. Others blame software bugs for "bricking" phones. "I tried about 5 times and I got it finally. It sounds like a server issue. It has nothing to do with security. Just keep trying," advised one frustrated iPhone owner. "The only thing to do, retry, retry, retry... Worked here too after 30 times or more," said another. Technology consultant Jay Freeman said the problem was down to over-demand. "To anyone getting 'An internal error occurred.' (3200) while installing iOS 5.0, Apple's servers are swamped, and failing half the requests," he tweeted. But others thought the problems could be more serious. Wednesday night's attempts to update the iPhone were a dead loss as the global rush to download iOS 5 overwhelmed Apple's servers. Like many users, my computer reached a certain stage then threw back a variety of error codes, including the now infamous 3200, which was trending on Twitter. The day ended without success. In fact my iPhone was rendered temporarily useless - stuck in restore mode, but without the ability to restore. For anyone needing to make urgent calls this would have been very bad news. The problems were cleared-up by Thursday morning - presumably because most of the US was asleep. Both the iPhone and iPad updated successfully, although the backup and restore process still took an incredibly long time. It is a mark of users' appetite for new features that this happened - global net traffic spiked according to some measures. However, Apple will be under pressure to beef-up its systems for future updates, especially as the number of iPhone and iPad owners continues to grow. "There are a range of issues from people who can't get the update to load from content being deleted, applications going missing and in the worse case scenario phones bricking entirely," said Ovum analyst Nick Dillon. While bugs are common when new software is released, the amount of problems being experienced by users appears to be "on the serious scale," he said. One member of the public, Brian Daynes, emailed the BBC to explain the issues he had experienced. "Have got the error message 1611. When I contacted my provider Orange, they in turn contacted Apple, and were told that the Error 1611 is a hardware fault and is in no means related to the update process of iOS 5. "I am very upset over this, as I know full well that if I had not updated the phone, it would be in perfect working order today as I write this email," he added. At the time of writing, Apple had not responded to requests for comment. What are key features of iOS 5?